The most important part of any wedding, your wedding venue, is the be all and end all of making the event stand out as phenomenal. With waiting lists on the most sought-after locations stretching into years, it’s best to plan well in advance, especially for the most awe-inspiring. As wherever you choose will be in every photograph, every memory from the day, it’s important to pick somewhere that matches the significance of the wedding, impressing all guests with just how singular it is. Whether an English Castle or a white sand beach in the Caribbean, each person’s ideal venue is different. Contemporary or traditional, grand or intimate, the choice is endless. To give some guidance, we have curated a selection of the most astounding wedding venues from around the world, ones that will ensure that the wedding is remembered by all in attendance for all the right reasons. As far as memorable settings go, there are few more remarkable than the open Savannah. Lion Sands is a resort throughout which the spirit of safari still lives. 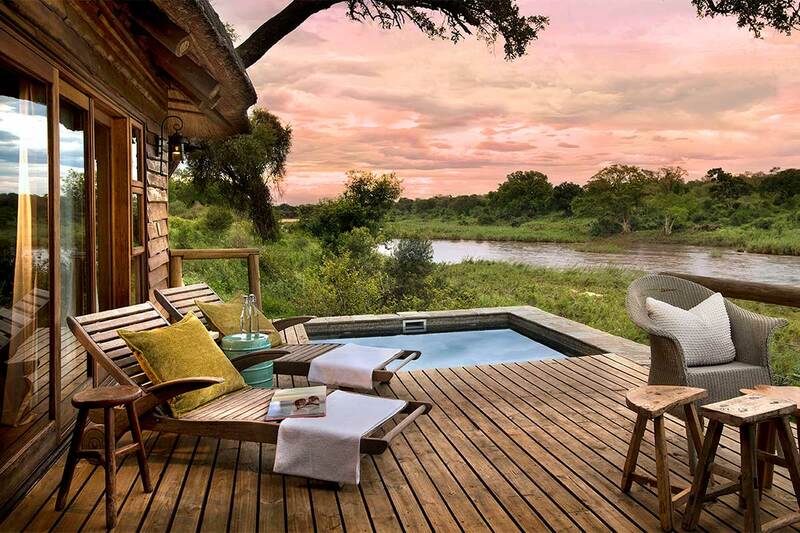 With a small number of luxury lodges and the open landscape stretching out on all sides, the reserve feels like an outpost in the wilderness, which is a large part of its appeal. As with the best game reserves, the big 5 are in abundance, with a chance that one of them may grace the wedding ceremony. Ceremonies at Lion Sands are held under an ancient Marula Tree on the banks of the meandering Sabie River, a powerfully evocative location. From start to finish, the event is tailored to guests’ needs and the preferences of the engaged couple. The staff of Lion Sands will cater to every requirement in the utmost luxury, from a bespoke menu to the activities on offer during the day, all to create a meaningful stay that will stay with everyone in attendance for the rest of their lives. 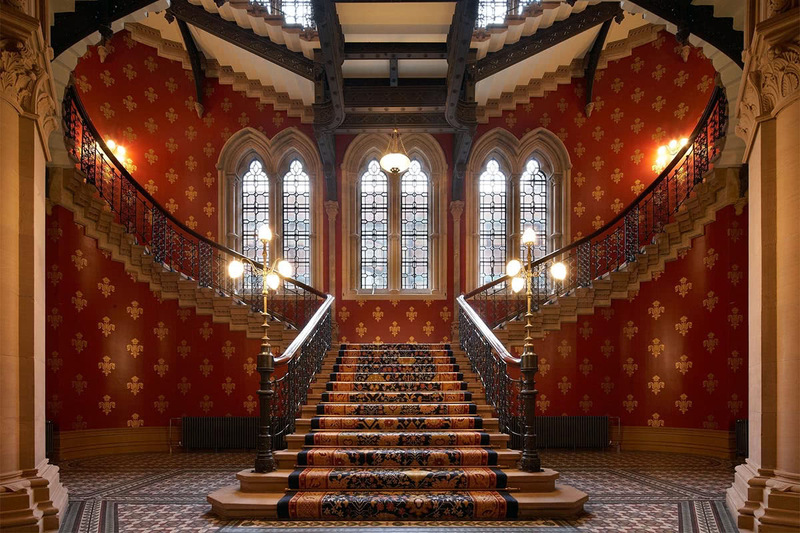 After decades of neglect, the lovingly restored St. Pancras Renaissance Hotel has been hailed as one of London’s most romantic buildings. A true gothic masterpiece, the building is one of the most recognisable in London, with the huge façade exemplary of the best Victorian architecture. Inside, too, every detail has been brought back to life, creating interiors worthy of the building’s heritage. Intricate Gothic revival metalwork lends an almost cathedral-like air to the grand staircase, a fitting place for wedding photographs, while in the summer time the roof garden makes the perfect place for a champagne reception. The Ladies Smoking Room is a great pre-function area and ample room for a wedding feast. The St. Pancras Renaissance is also ideal for the start of a European Honeymoon, with an exclusive porter service to the Eurostar, which is right on the doorstep. For those looking to experience white sand and azure waters, there are few places that spring to mind faster than the Maldives. A tropical climate and almost year-round sun create a paradise in which it is easy to lose oneself. 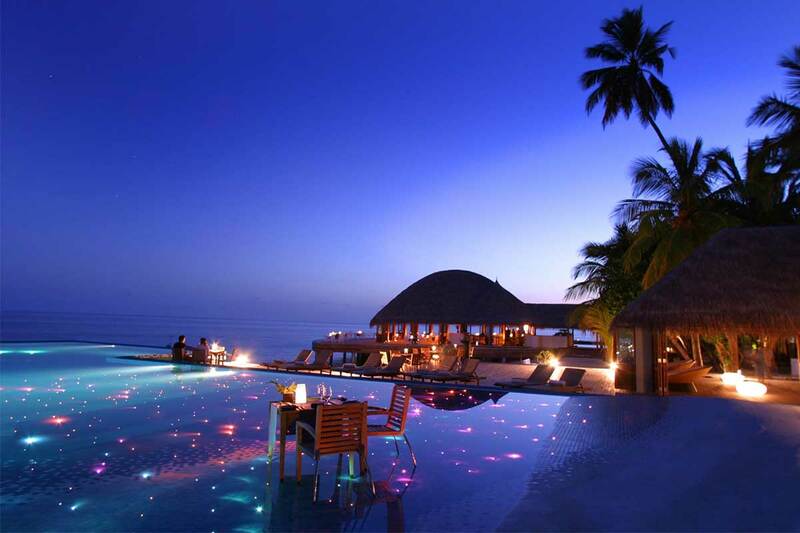 One resort that epitomises this is Huvafen Fushi. 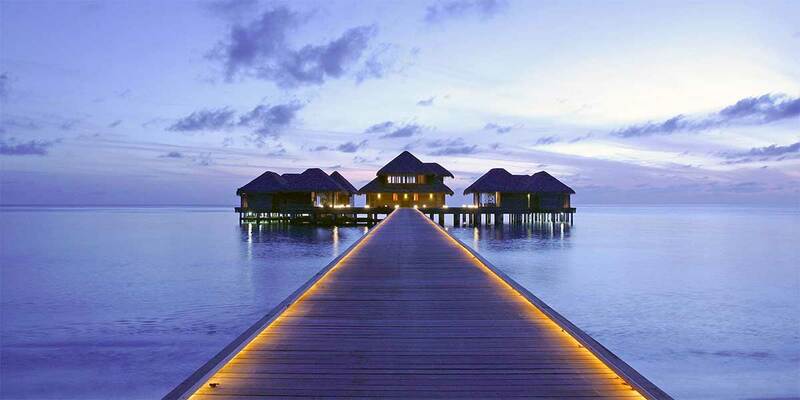 One of the most luxurious resorts around the Indian Ocean, Huvafen Fushi’s Ocean Pavilions are set 200 metres out over the Indian Ocean, the stunning stilted buildings face the sunset and are the last word in pampered luxury. The master bedrooms provide panoramic views of the surrounding scenery, easily one of the most romantic sights in the world. The relaxed lifestyle of the resort will ease any pre-wedding stress, while the stunning underwater spa will ensure that everyone involved can look their best on the day. After the necessary wedding photos on the beach, Huvafen Fushi’s bespoke dining options mean that the wedding never needs to move from the beach, with the banquet spread out under the stars. 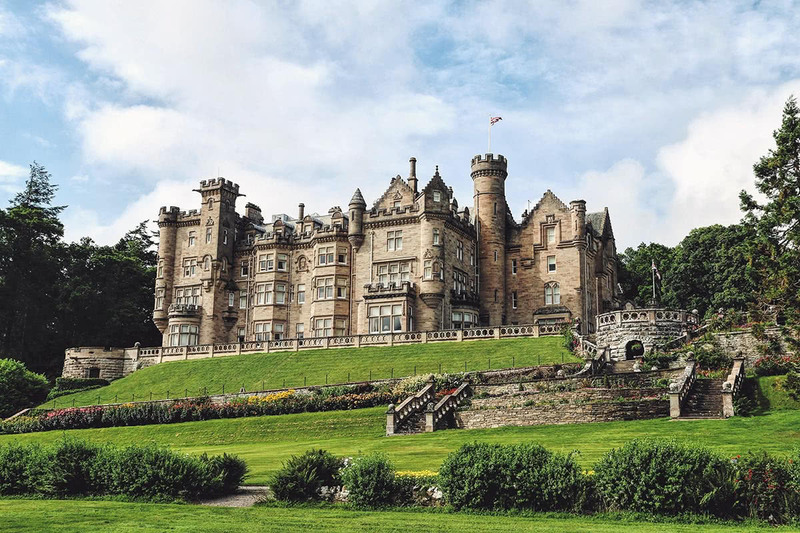 Formerly the summer home of US philanthropist and steel magnate, Andrew Carnegie, now home to one of the most exclusive members clubs in the world, Skibo Castle is an utterly breath-taking piece of Scottish Baronial Architecture situated in the very heart of the Scottish Highlands. Its remote location and old-world extravagance make it the perfect place for a weekend getaway and, surrounded by lochs and golf courses, showcases the best of the Scottish outdoors. As the castle is predominantly a clubhouse, albeit one of the most spectacular in the world, you have to be a member of the Carnegie Club to visit more than once. Membership is well worth it however, as it allows you to fully experience all the castle has to offer. Able to be rented fully-staffed, this was the venue chosen by Madonna and Guy Ritchie, an understandable choice as the Banquet Hall, sumptuous rooms and beautifully landscaped grounds all lend themselves to the most impressive of weddings. The most luxurious private Château in Burgundy, Château de Varennes is located amongst some of the world’s most prestigious vineyards, all of which can be admired from atop the building’s tower. 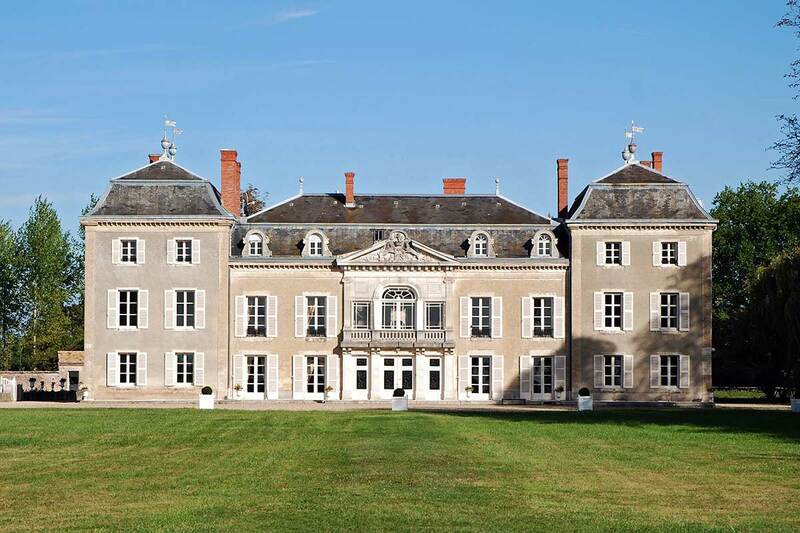 Totally renovated after being left to disrepair, the Château has now rediscovered all of its former glory. Complete with its own winery, the house is a seamless example of French heritage. Located in the splendid park, its large terrace, swimming pool and intimate rooms make guests feel like French aristocracy, and antique furniture, a forged iron grand staircase and broad fireplaces provide a permanent feeling of sophistication. The open grounds are simply waiting for a wedding pavilion and the local wine and fine food can make any meal a feast. 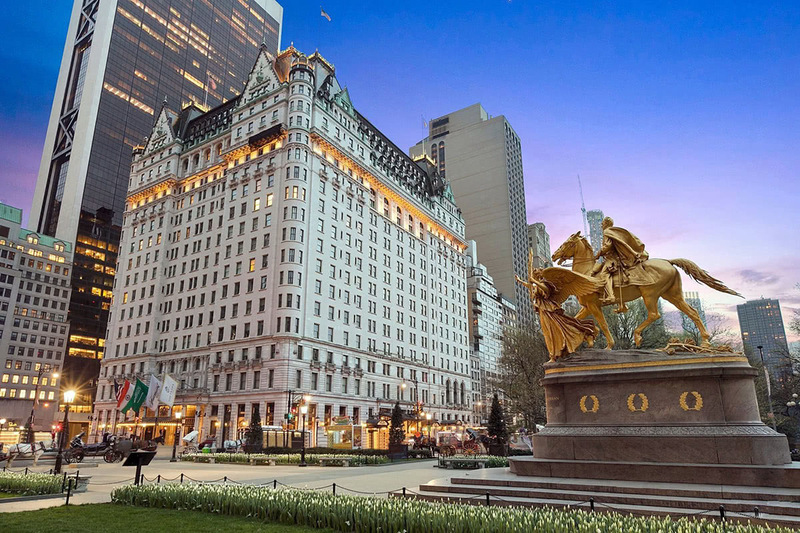 The Plaza Hotel has been the definition of New York elegance for over a century. Between the central location and Great Gatsby-esque décor, the hotel has attracted the city’s high society since its construction, while the excellent restaurants and sumptuous rooms have continued to draw admirers the world over. 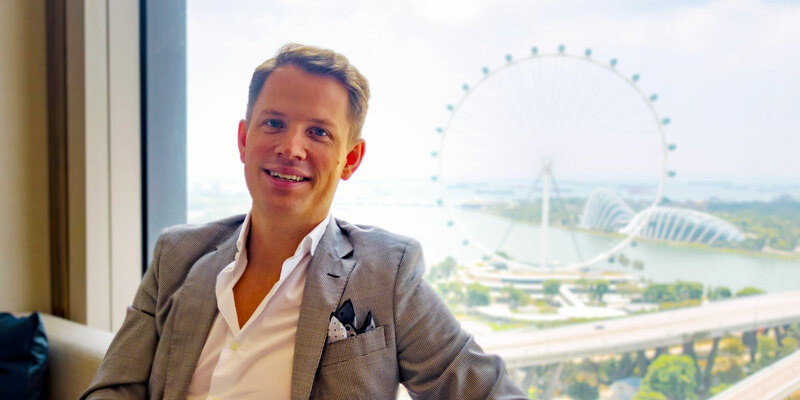 Along with this comes the uncompromising service of the finest luxury hotels- discreet yet available and with an unsurpassed willingness to make their guests’ stay utterly perfect. Beyond the hotel’s famous Palm Court sits the Terrace Room, an absolute jewel in the crown of the Plaza. Meticulously restored to its original 1920’s brilliance, figural Italian Renaissance paintings adorn the ceiling, while the room is lined either side by imperial pillars drawing attention to the front plinth, the perfect place for vows to be exchanged. Above hang magnificent crystal chandeliers, giving the room a gentle glow and with 4700 square feet of space, the Terrace Room is able to host even the most ambitious of weddings. One of the most sought-after churches in America, Wayfarer’s Chapel is unique. 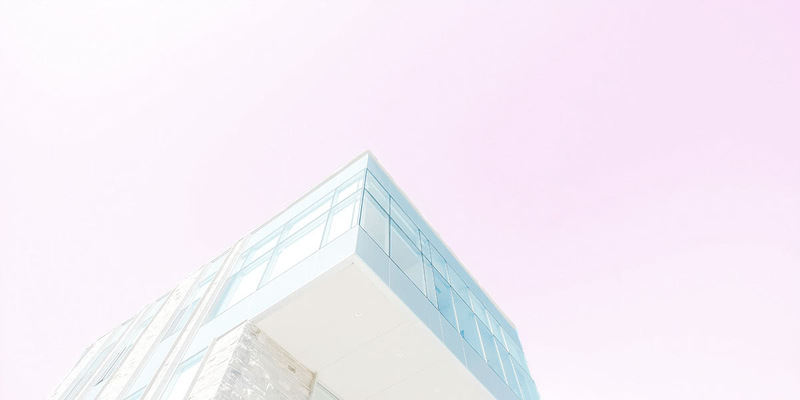 The striking glass architecture allows all light in to create an airy, open space. The surrounding trees are visible through the walls, making guests feel as if they are out in the open in the middle of the forest. The geometric design is intended to compliment the natural surroundings, an element which the chapel achieves magnificently. 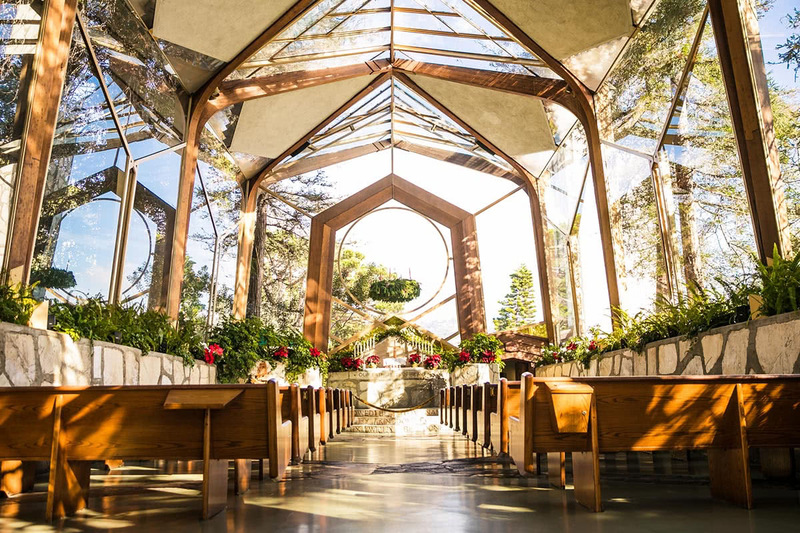 The towering redwood trees serve to emphasize the sacred function which the chapel provides. Every detail of the ceremony is planned out well in advance, yet the charm of Wayfarer’s chapel is the naturalistic approach. Natural plantings eliminate the need for flower arrangements while the size lends itself to intimate ceremonies. The chapel is the ideal place for a low-key yet memorable wedding, understated yet permeated with the sacrosanct message of marriage. Despite the fact that a wedding here may mean some extreme alterations to the wedding dress, there are few more spectacular locations to get married than the ICEHOTEL. 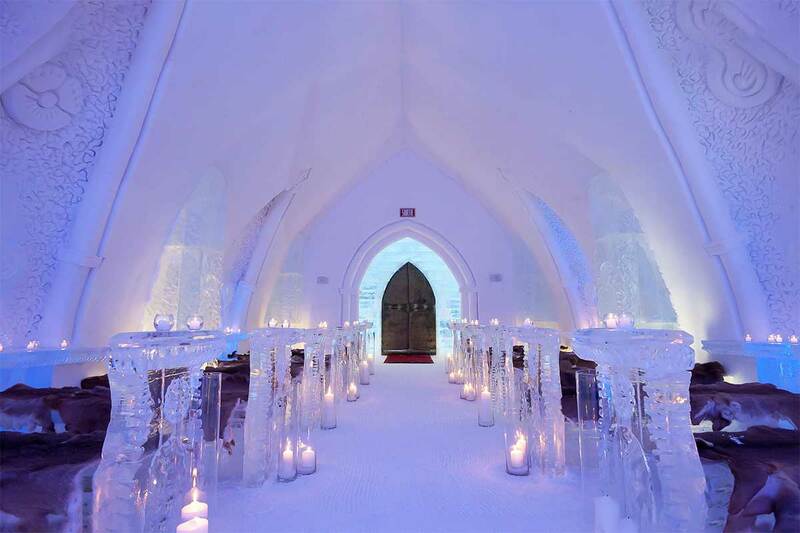 The world famous hotel is, as the name suggests, carved entirely from ice. This fact, combined with stunning contemporary design, have created a hotel that is a masterwork of creativity and ingenuity. Each year the entire hotel melts away to nothing and reincarnated once again. This means that, no matter how many times a guest visits, their experience will never be the same twice. One of the buildings that is rebuilt each and every year is the Ice Church. 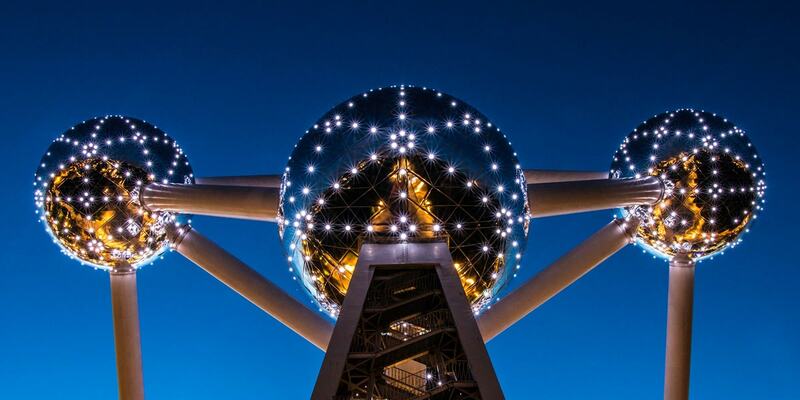 From all over the world people come to hold ceremonies in the architectural wonder of the church. With room for 35-45 people, the space is ideal for an small ceremony, and the celestial beauty of the blue and white walls, embellished with carvings, is unlike anywhere else in the world. A step outside after the ceremony will reveal to guests one of nature’s most mystical occurrences, the Northern Lights.